The Gwangju Royal Ceramic Festival is held annually in Gwangju, Gyeonggi Province, where royal ceramic ware was first created during the Joseon era. Launched in 1998, the festival comprises of programs such as performances, exhibitions and hands-on activities. The festival is being held until May 7. It is open from 11 a.m. to 6 p.m. 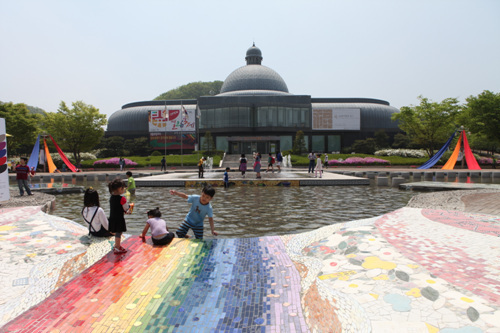 There is no admission fee, though a separate admission fee is required for the Gyeonggi Ceramic Museum. 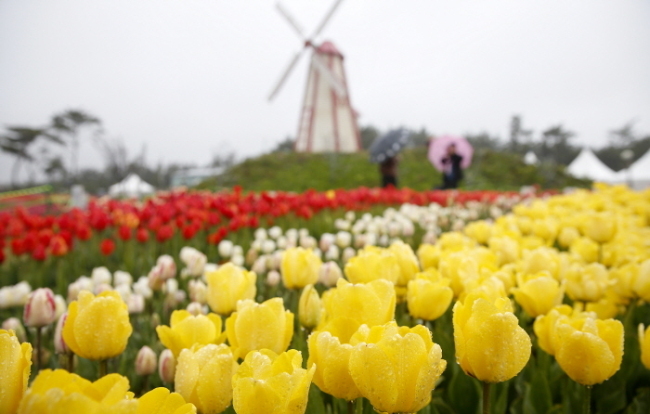 The Taean World Tulip Summit is presenting world famous landmarks including Namdaemun, the Eiffel Tower and Egyptian pyramids, alongside displays of the iconic Dutch flowers, in Taean-gun, South Chungcheong Province. Daffodils and lilies have also been planted. The festival is being held until May 10. Admission fees are 9,000 won for adults and 7,000 won for teenagers. The duration of each performance is 90 minutes. Visiting hours are from 9 a.m. to 11 p.m. 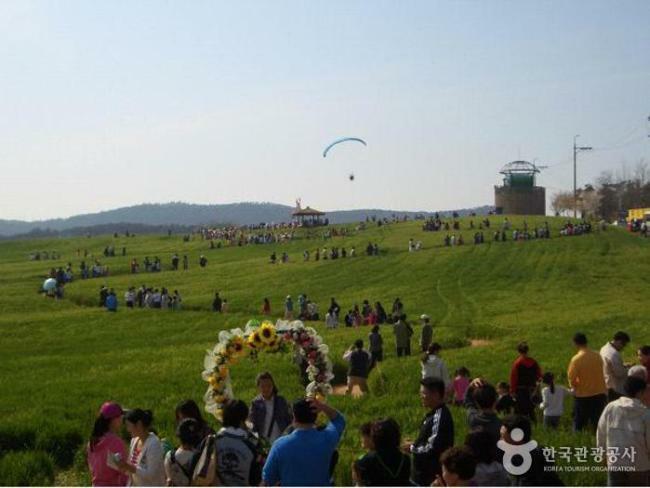 The Gochang Green Barley Field Festival is held every year from April 22 to May 15 in the green barley fields of Gochang-gun, North Jeolla Province. The festival celebrates the region’s plentiful barley. Visitors can take part in activities such as making flutes out of barley and searching for hidden treasures in the barley fields. A visit to the festival is also a good opportunity to visit Seonunsan Provincial Park and Gochang Fortress. Participation fees vary by program. 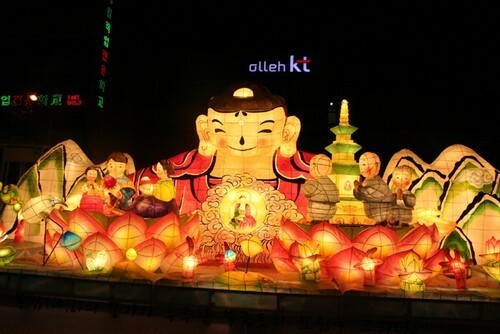 The Busan Lotus Lantern Festival is an annual tradition that provides visitors with an opportunity to experience Buddhist culture through programs such as making lotus lanterns, sharing traditional tea, eating temple food, and celebratory performances. 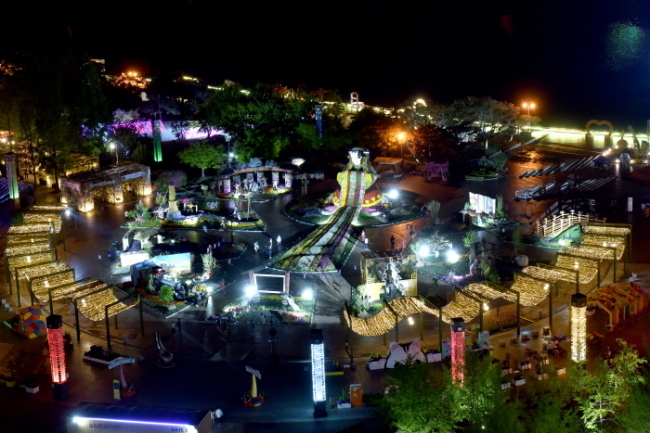 The festival is held at Busan Citizen’s Park, and is free of charge. The main events are the Grand Buddhist Ceremony and the Lotus Lantern Parade. The latter will take place from Busan Station, Gudeok Playground and Gwangbok-dong. The festival takes place at Ilsan Lake Park in Goyang, Gyeonggi Province, until May 14, with nearly 300 related organizations, groups and companies from 25 countries showcasing flowers and products made with flowers. A unique and rare plants exhibition, an indoor garden decorated with flower art pieces, outdoor theme parks, flower arrangement contests and other cultural events and performances are planned. Tickets cost 8,000 won with reservation and 12,000 won on-site. Visiting hours are from 9 a.m. to 9 p.m.
Visit www.flower.or.kr for more information in Korean, English, Japanese or Chinese.